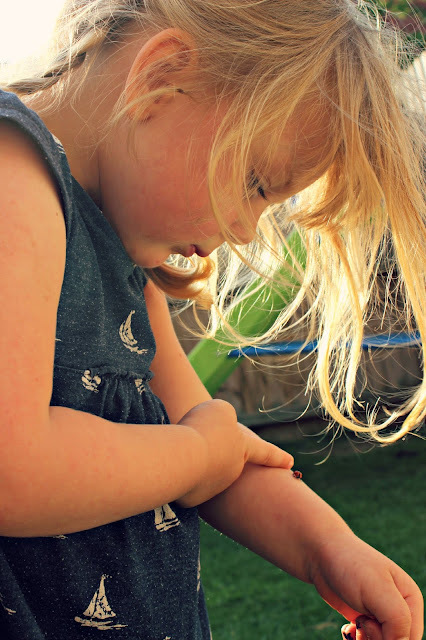 Tearing the tykes away from Peppa Pig is no easy task unless you want tears and tantrums, but as us mums know, sitting in front of the television for the entire summer is probably going to do them more harm than good. So when the sunshine finally appears it’s no surprise that we all want to make the most of the weather and embrace as many of the good days our British climate has to offer. The trouble is, once you get out into the garden and have no pink pigs to entertain the children, the dreaded ‘I’m bored’ motto soon rears its head, and you want to instantly throw in the towel as you wonder whether it’s really worth all the effort in the first place. But unfortunately that moment seems to come no matter their age, and finding unique activities that will keep them outside is not only good for their health, but also for your own sanity. Take some inspiration from the games below and whether you’re feeling active or not there will be something to keep them entertained well into tea time. Little ones seem to be completely fascinated by creepy crawlies and you can harness their inquisitive interest in bugs by sending them on a mini beast hunt. Whether you have a book that already illustrates the gardens visitors, or perhaps craft your own with the RSPB’s guide to garden bugs, give them a list of what they could find and send them on a garden adventure. They’ll soon be giggling over wiggly worms and counting the spots on Lady Birds, and you can sit back and watch their fascination, as they learn about the garden and all that it has to offer. Create a festival inspired summer party for the tots and their friends. You don’t need to go crazy on purchasing tents or decorations, and getting crafty can encourage them to help you set it up. Your little one can get festival ready by customising their wellies, and can help to paint the paper bunting in lots of bright summer colours. Tents with teddies can be built from old bed sheets and twigs, with cosy cushions to sit on whilst they eat their nibbles. 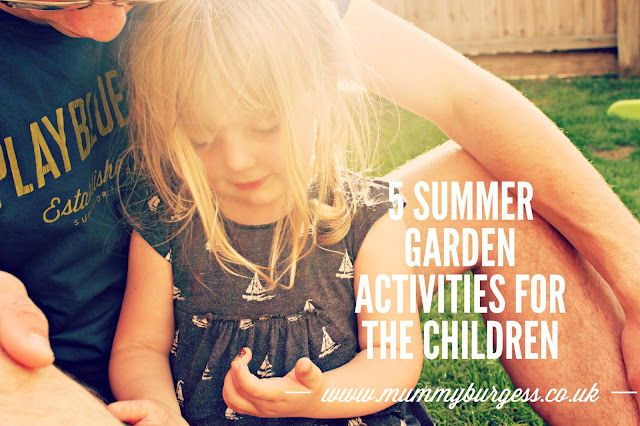 With bubbles to be blown, garden games to be played, and their favourite music playing on a twist disco matt, they’ll have the time of their lives pretending their at a festival, and will be the talk of play school when the summer is done. If you’ve got a beautiful garden filled with flowers and plants, it can be the perfect home for a fairy hotel. After all, these mystical creatures love to hide out in gardens that have got lots of space to offer. Twigs and branches can be the best way to build a hotel for these visiting creatures, especially as they like to come when the weather is beautiful, so give them shelter on their summer holidays with a natural home that any garden dwelling fairty would be proud of. Once hidden away in the garden and the children are off to sleep, you can add a small thank you note from the fairy thanking your little one for all their hard work. It’s hard to keep up with the amount of energy that children have, so if you need to sit down and take a minute to relax, without them hounding you for the next treat or activity, garden Olympics can give you the perfect opportunity to sit and spectate whilst they run around the garden. Setting up the obstacle will be the most you have to do, as once they get going they’ll have to compete at how fast they can go and how many times they can do it. Their rosy red cheeks will soon be ready for a break and you can enjoy that cup of coffee with a few minutes peace. If your little one is the creative type, sitting them down in the garden to create a nature book can be a lovely way to spend the afternoon together cutting and sticking, and telling stories about all the plants and flowers that live in the garden. Not only will this excite their imagination, but it could be made into a beautiful momentum for when they’re older. No matter how you decide to keep the children entertained this summer, don’t forget to take some time for yourself in the great outdoors, as even reading a book, or having your breakfast outside before they awake, can be soup for the soul. Treat yourself to some comfortable surroundings or perhaps invest in new garden furniture, so that you always have your own space to sit back and relax.